Home Unlabelled Nigerian Late Musician, Received A Posthumous Award @MSAA Awards 2017. Nigerian Late Musician, Received A Posthumous Award @MSAA Awards 2017. The 2017 MSAA Awards witnessed the best of celebrations as one of Nigeria’s best singers, the late Kefee received a posthumous award for her contributions to the music industry while she was alive and till now, even in death. The award organizers, the Naija Gal Entertainment through the CEO, Miss Ngozi Udenevo, said that the award given to Kefee is because of her contributions to the industry, her doggedness while alive and the impart she made in the lives of people, especially her non-discriminatory nature and character. 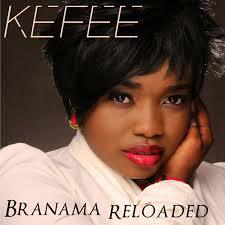 Ngozi eulogized the person and image of Kefee that it got those at the event almost to tears. Receiving the award on her behalf, her husband, Mr. Teddy Don-Momoh, who is also a broadcaster with the Muhri International Television, MITV-Star FM Lagos and now a musician, following in the foot-steps of his late wife, said that to him, his wife, Kefee is still alive as even in her absense, she is still being remembered and honoured, promising that in a short while, Kefee would release a new single to the market. Born Irikefe Evelyn Obareki in Sapele, Delta State in 1980, the Branama Queen was a singer, songwriter, an entreprenuer and a good wife before her call to Glory.